This is a colorful pasta, made from roasted beets with a sweet aftertaste and a lovely bright color that marries best with cheese sauce and fresh herbs that show off its beauty. Small beets will impart magenta color; larger beets will impart a darker, almost purplish color. Some of the colors will inevitably leach out into the water, but the cooked pasta will still be quite bright. Since I have redesigned my kitchen and focused on every tiny detail that went into it, now I have another difficult task ahead of me. I need to update all of the contents of my kitchen. You probably saw the beautiful containers that I posted about, but now I’m on a mission to find functional, yet beautiful appliances that will further enhance the beauty (and purposefulness) of my kitchen. Here’s where Savora line comes in. I already had a few pieces from them that I enjoyed, but these next ones are true keepers. The colander just looks dazzling on my kitchen, especially when I add the colorful fruits, vegetables or pasta to it. The pizza wheel is similar to a Santoku knife since its blade has killed along the sides that create air pockets which helps food fall off the blade easier. The hand grater can be used in 3 different ways, so it’s really 3 tools in one. When the removable container is attached to the Savora Hand Grater it can be used upright – similar to a box grater – or flat on a table. With the container off, the soft casing along the back of the Hand Grater allows you to use it over a bowl or plate as a traditional hand rasp. You can find Savora in any Bloomingdale’s stores near you. 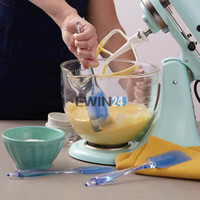 I think these would make a great addition to anyone’s kitchen, and that is why I’m happy to provide my reader the opportunity to win each one of these gadgets. Savora giveaway is now closed. Thank you so much for all your comments! Congratulations! Please send me your emails, addresses, and your favorite color. in the color of the winners’ choice. If you’re interested in winning Savora tools, just leave in a comment section – what do you think about Savora product and which one is your favorite? For a better chance to win follow Cooking Melangery and Savora on Pinterest. Like both Cooking Melangery and Savora on Facebook. Follow Cooking Melangery on twitter. Follow Cooking Melangery on instagram. Giveaway ends on Sunday, November 9th, 2014 at 8:59 PM EST. Good luck!! Preheat an oven to 365°F. Put the beets in a baking dish and drizzle with the olive oil, turning them to coat well. Cover with foil and roast until the beets are easily pierced with a fork, about 50 minutes to an hour. Remove from the oven. When the beets are cool enough to handle, peel and coarsely chop them. Knead on low speed until the dough is soft and smooth, 5 to 8 minutes. Turn the dough out onto a lightly floured surface and shape into a ball. Return the dough to the bowl, cover with plastic wrap and let rest, for about 1 hour. When ready, roll out the dough using your pasta machine according to manufacturer's instructions. If you don’t have a pasta machine, you can roll it out by hand with a rolling pin. Make sure to flour the pasta very well after you cut it to prevent from sticking. You may dry your pasta for later using pasta dryer. Bring a large pot three-fourths full of salted water to a rolling boil over high heat. When the water is boiling, stir in the pasta and cook until al dente, 3 to 4 minutes. Meanwhile, in a large sauté pan over medium heat, warm the olive oil. Add the sausage and cook, stirring frequently, 5 minutes. Add the red pepper and garlic, cook a couple of minutes more. Add the white wine, and season with salt and pepper. Drain the pasta and transfer to the pan with the sausage and toss well. Add the cream, parmesan cheese, and butter, mix well. Cook for two more minutes. Transfer to a warmed serving bowl. Sprinkle with the blue cheese, parmesan cheese, fresh chives and serve immediately. The beets can be roasted up to 2 days in advance. Trim and peel them, then store in an airtight container in the refrigerator until needed. You can also roast additional beets at the same time, which can be sliced and used in salads. Disclosure: This giveaway is sponsored by Savora. Savora products look classy and modern. I really like the colander! Making fresh pasta is still in my to do list. The beet pasta looks awesome with herbs. I liked the pizza cutter and the Colander, but the blue Colander is astounding with the fruits, so Colander is my favorite. Wow! What a fantastic color! I have never tried making pasta at home from scratch.. I've never seen the Savora line before. Love that grater. Mine disappeared several months ago and I haven't replaced it yet. I really like the multiple use. And, as usual, I adore your blog! I've never heard of Savora before, but I love the colander and could really use a new one. Cooking Melangery following them on pinterest. These pieces by Savora look like works of art! I especially love the pizza wheel which, nostalgically, reminded me of my childhood bicycle with the shiny cogwheel and curved tubing, although my bike's was green. Love the blue! I would love to own the colander and get rid of my plastic one. I follow Cooking Melangery and Savora on Pinterest as birdiebee52. I Like both Cooking Melangery and Savora on Facebook as Terry Stevens. I follow Cooking Melangery on Twitter as birdiebee52. I follow Cooking Melangery on Instagram as birdiebee52. Your pasta and the photos are beautiful. How fun for your brand new kitchen to have such pretty new items Yelena! How many times have we heard that line before? Well folks, this picture does absolutely look amazing, and it would take just about a thousand words to describe the culinary experience I had actually eating this exact dish… That's right people, I actually had the privilege, honor, and luck to feast on everything you see in this photo, down to the wine, bread, and even the truffle butter spread. WOW! What an experience that was. Thank you chef for the amazing meal, I was one lucky painter, in the right place, at the right time. Your beet pasta is totally awesome! And it looks very Halloween-ish too. About the Colander/grater/cutter, they are very chic and stylish. Looking at them makes me want to cook something. Food needs to be bold and beautiful, and kitchen accessories such as the ones displayed are exactly what I need to get me going in the kitchen. Beautiful tools will call upon the chef in all of us, and demand to be used to create dishes like the one I had. Happy cooking everyone, and cheers Yelena, thank you for brightening our days. Gorgeous pictures, as usual! Love the bold colors of Savora, will definitely check them out. I like the grater the most. Thanks for the giveaway. All three looks so handy but wow, that pizza cutter is the one I want the most! Your beet pasta, beautiful! I follow Cooking Melangery on pinterest as rusthawk. I follow Savora on pinterest as rusthawk. I am following Savora on FB as Rust Hawk. I'm following you on instagram as rusthawk1. Thank you so much! You can't beat the homemade pasta, can you? It must be extremely fresh and delicious. Savora products look like that are made from high quality material &are made to last! I would love to have the hand grater most of all! I follow Cooking Melangery and Savora on Pinterest as Angela Saver! CONNIE SOWARDS commenting: I have never heard of Savora before but I like the stylish look. My favorite is the pizza wheel. CONNIE SOWARDS commenting: I like both Cooking Melangery and Savora. Looks like a fantastic hand grater. Beet pasta huh? Sounds interesting! The colander is beautiful! I have open shelving in my kitchen and am always looking for high quality BEAUTIFUL tools. I liked Cooking Melangery on Facebook! I liked Savora Style on Facebook! I followed Savora on FB. I followed Savora on Pinterest. I followed Cooking Melangery on FB. I followed Cooking Melangery on Pinterest. I haven't seen Savora tools before, but they look nice. The hand grater looks so versatile. I think that would be my favorite. After spending a long time with a terrible peeler lately, however, that one is a close second. I love the handgrater and they look like a great quality product! I love the colors they come in! I follow both on Instagram @mywahw Thanks for the great giveaway! The Savora products are pretty and useful; I like the unique style of the pizza cutter. I follow Cooking Melangery on Pinterest. I follow Savora on Pinterest. I like Cooking Melangery on Facebook. I like Savora on Facebook. I follow Cooking Melangery on twitter. I follow Cooking Melangery on on instagram. Amazing color! My husband loves beet. I may have to surprise him with this beautiful pasta.